Nathan Van Kampen represents his clients in litigation matters, estate planning and administration and corporate and commercial transactions. Nathan enjoys meeting with clients face-to-face to assist them in preparing their Wills and developing an estate plan that suits their individual needs. Nathan also has helped many clients with obtaining Probate and throughout the estate administration process after a family member or loved one has passed away. This experience allows him to better advise his clients when creating their estate plan. Nathan was raised in Kamloops, B.C. on a ranch on the outskirts of town. He attended Thompson Rivers University and received his undergraduate Bachelor of Arts degree with a major in history, in 2012. 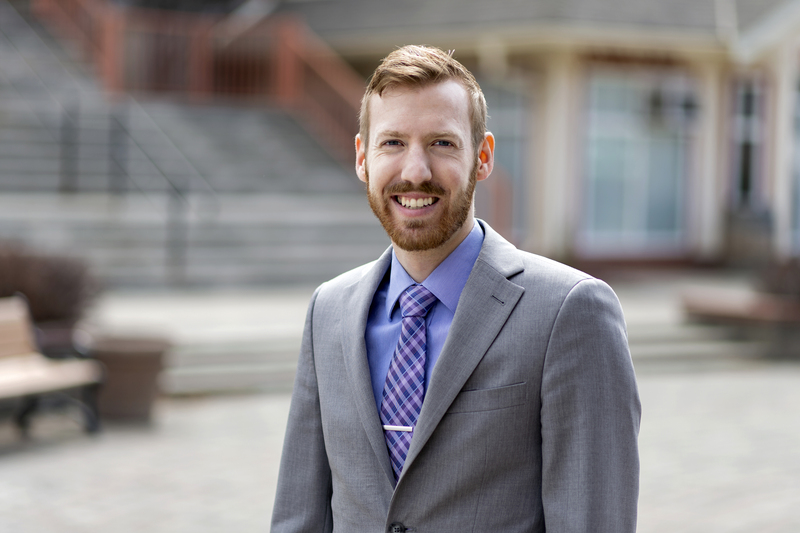 He attended law school at the University of Victoria and graduated with his Juris Doctor in 2015. Nathan returned to Kamloops after graduation to complete his Articles under the instruction of Kerri Priddle. Nathan began practising with Kerri Priddle as an associate in May 2016 after being called to the bar. Nathan is a member of the Law Society of British Columbia, Canadian Bar Association and Kamloops Bar Association. Nathan is an avid sports fan and enjoys the outdoors, spending his free time skiing, hiking, playing wheelchair basketball or watching the Canucks and Raptors.